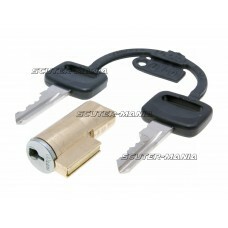 Steering and luggage compartment lock for Vespa 50, 125 scooters. Good quality well priced replaceme.. 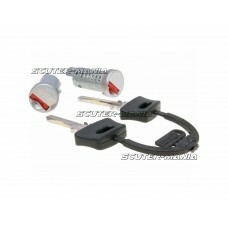 Steering and luggage compartment lock for Vespa 50, 125 scooter and KTM EXC, SXC and SMC bikes. Good.. Steering lock for Vespa 50, Sprint 150 Classic scooters. 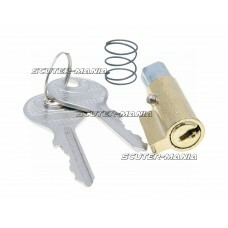 Key lost, broken or damaged lock? This stee.. 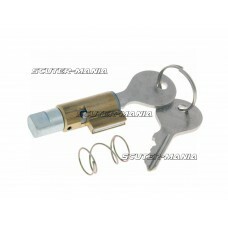 Steering lock from Typ Neimann for Vespa 50, PX, Rally, Sprint. Key lost, broken or damaged lock? 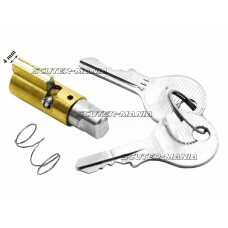 Th..
2 cylinder steering lock set for Piaggio TPH NRG, Vespa PX. Lost key or broken steering lock? There .. 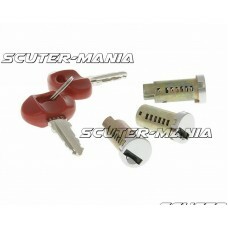 Complete lock set for various Piaggio / Vespa delivered three lock cylinder with 2 keys. supplied a..
5 cylinder steering lock set for Piaggio TPH NRG, Vespa PX. Lost key or broken steering lock? There ..
Ignition switch for Aprilia Gulliver, Rally and SR 50 . 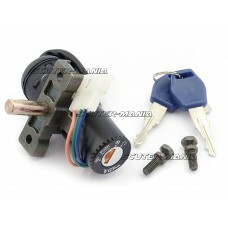 Good quality well priced replacement ignitio..
Ignition switch for Aprilia MX, RS, RX 50. 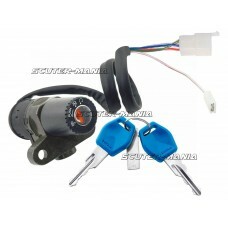 Good quality well priced replacement ignition switch maki..
Ignition switch for various Aprilia, Derbi and Gilera motorbikes from 2004. 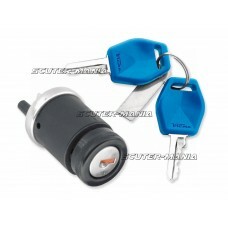 Good quality well priced..
Ignition switch for Aprilia RS 50 and RS 50 Tuono from 1999 to 2005. 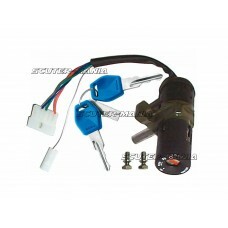 Good quality well priced replac..
Ignition switch for Aprilia Sonic 50. 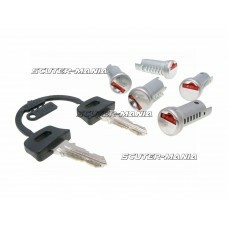 Good quality well priced replacement ignition switch making th..
Ignition switch for Aprilia Tuono 125 from 2003 to 2004. 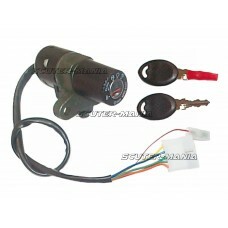 Good quality well priced replacement igniti..
Ignition switch for Beta RR 50 with analog speedo. 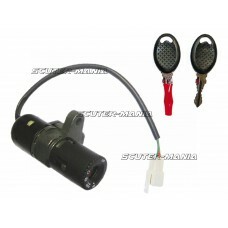 Good quality well priced replacement ignition swi..